Mr. Gessing previously granted permission for our use of his material from Errors of Enchantment and his Rio Grande Foundation. Needless to say we are are tremendously grateful for his generosity. Please visit Rio Grande Foundation and Errors of Enchantment frequently. Now enjoy the article below and any related articles found through the links after Mr. Gessing’s post. “Recently, a representative of the New Mexico Association of Secondary School Principals wrote an opinion piece in the Albuquerque Journal defending his profession. The most interesting part of the article comes toward the end where the author makes a clear grammatical error when he states, “Let’s not listen anymore to rhetoric that is being promoted by special interest groups that want us to believe that are schools are failing.” (emphasis added to the faulty wording which should be “our). I’ve certainly mis-typed and even mis-spelled words in my writing before, but having such a blatant error in an article written on behalf of school principals is not comforting. More important is the sentence itself. “Special interests” want us to believe that schools are failing. I’m sure that as an educator, one gets tired of hearing about the failures of the system they are a part of, but that’s the issue, the system. 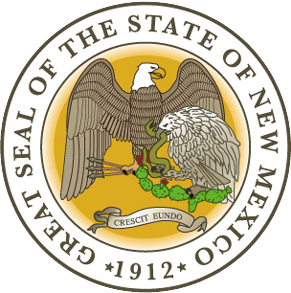 As Capitol Report New Mexico reported just this week, New Mexico spends 20th most per pupil in the nation, but has some of the worst results when it comes to student achievement. Clearly something is failing.